Back in 2013, I wrote about the phenomena called zombie houses. These are homes that had their owners evicted, but the bank never finished the foreclosure. So the owner's still have the responsibilities of owning a home, such as paying property taxes and upholding neighborhood covenant rules, without the benefit of living in said home. In the past two years, the number of zombie houses has decreased in most states, as rising property values make it worth a bank's time to finish the foreclosure and auction off the empty houses. But a few states still have a plethora of zombies. According to RealtyTrac, New York, New Jersey, Florida, and Illinois haven't had the decrease seen in places like California, Ohio, Washington, and other states. Partly this is because these four states have longer foreclosure procedures. The latest statistic I found estimates that New York state has approximately 2.1 zombie homes per 1,000 homes. 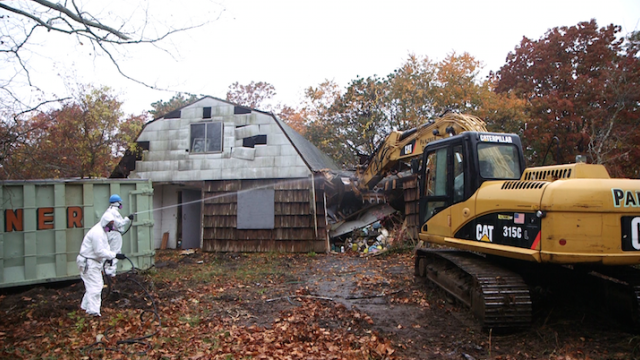 New Jersey has approximately 17,000 zombie homes. Neither state has concrete plans to deal with the problem at this time. I think the answer to zombie homes is simple. A bank must take over the title of a home before it can evict the residents. That moves the responsibility from the citizen to the bank, who would then have to pay the taxes, pay the upkeep, and would be motivated to either keep people in the house by negotiating a reasonable mortgage or sell the house as soon as possible. What do you think? Do you agree, or have another idea about how to stop zombie homes?